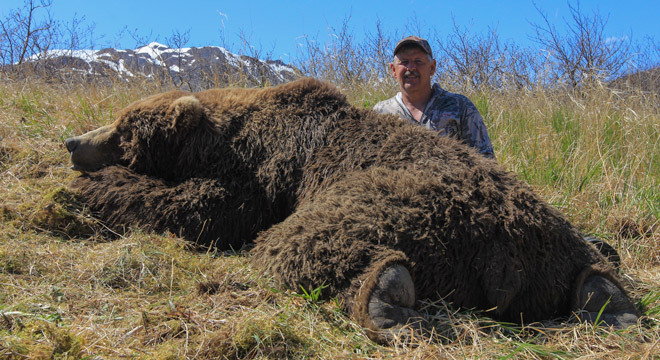 Does Brown Bear Hunting in Alaska for an apex predator sound like the cornerstone of your hunting career? It did for Chad King and it just so happens that we were opening up a new valley on private land that had never been hunted. We found a suitable place to land the super cub on a pre season scouting flight. This valley has formidable winds and sparse tent cover. We chose to down size, meaning replace the amenities of a comfortable camp with a hunt harder mentality. 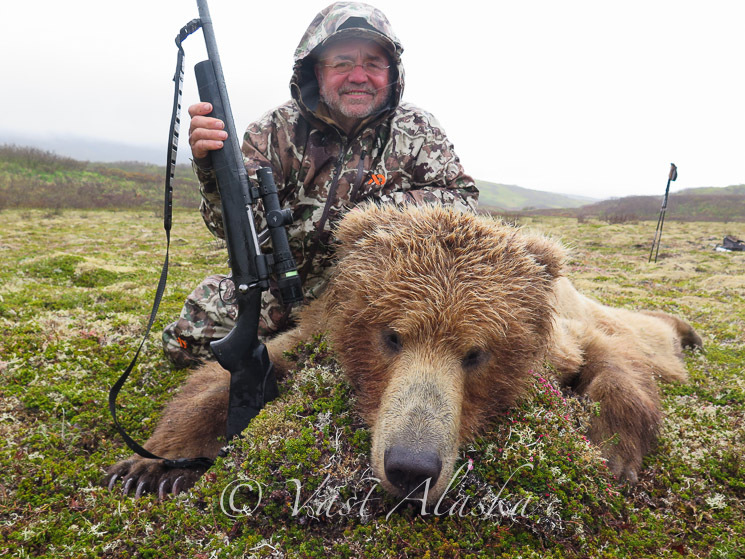 Replacing your ideals of living plush with mental fortitude and true grit exemplifies Brown Bear Hunting in Alaska! So they embarked into country unknown, I dropped Chad King and guide Johnny Helton off with a break in the weather. On short final in the super cub i saw a 10′ Brown Bear at the end of the airstrip. I pulled the mixture and got out of the plane and watched the Big Boar with the sow from 100yds. Maybe he will stick around? A day later Chad saw the Boar once again from 290yds. With a limited advantage they had to pass. They saw some great bears, finally, connecting on a big Brown Bear Hunting in Alaska…. And after the dust settled the Apex predator from the flight in exposed himself again and again at the end of the runway.